A classical MACD indicator where both the MACD line and the Signal line are displayed as lines. 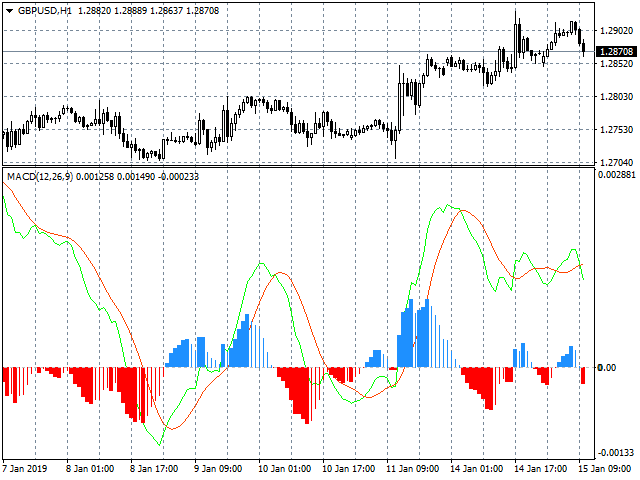 The difference between MACD and Signal line is displayed as a histogram. A user can change the color and thickness of histogram lines. So, histogram lines can be grouped into four different groups: positive ascending, positive descending, negative descending and negative ascending.